I hope everyone is having a great week! I'm loving the cool evening temperatures we're experiencing up here in Boston. 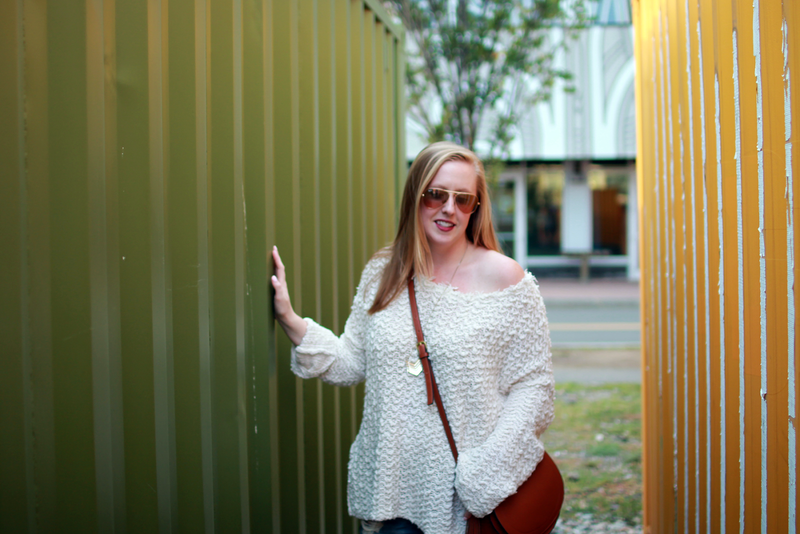 Nothing says Fall quite like an oversized, loose knit sweater. 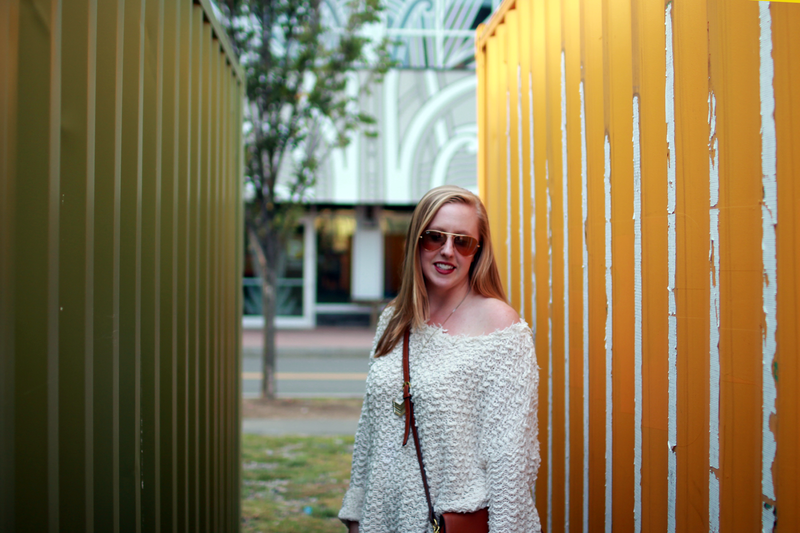 I love to throw this sweater on after a day at the beach, or in this case, golden hour beers al fresco with my friend Danielle (@asequinedlife). Often when she and I meet up after work, we try to utilize as much remaining sunlight as possible for some blog/IG photo opps. This time, we met up at Assembly Row in Somerville and enjoyed beers at the bright & colorful Slum Brew outdoor beergarden before the daylight escaped us, followed by dinner at Legal's. Be sure to visit Slum Brew and try the 'Scooter' Strawberry Wheat - so good! 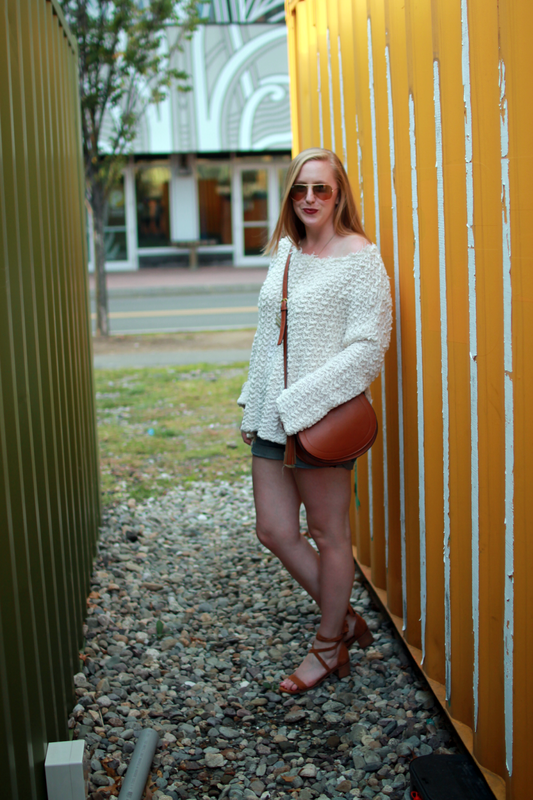 3 comments on "Warming up to Fall //"
Great look! 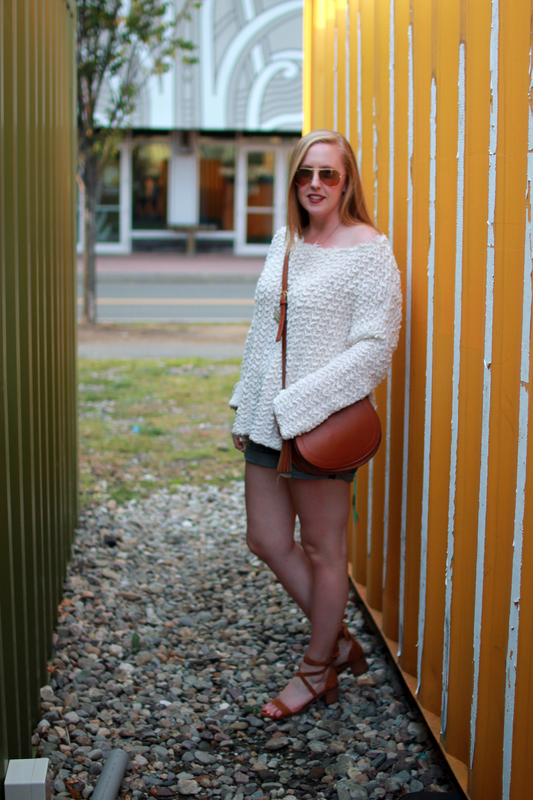 I'm loving the oversized sweater with those shorts! Love the sweaters, looks comfy and warm.